If your sales need a wakeup call we have the promotion for you! 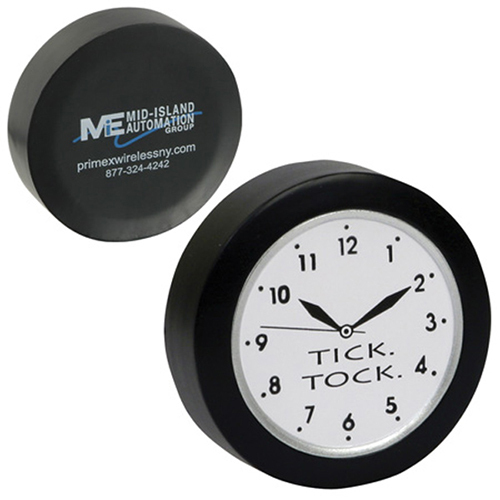 Our Clock stress ball is a great item to give-a-way at shows and special events. You can put a custom imprint on a clock stress reliever. These clock stress balls are fun to squeeze and will last for a long time. Item Size : 2" dia. x 1"